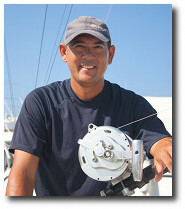 Russ Nitta was born and raised in Hawaii. Like most, Russ was introduced to fishing by his father, Owen. His parents lived on the waterfront and the “backyard” is where he spent most of his time…fishing. This is where Russ’s passion for fishing began. Shoreline fishing preoccupied his childhood until his father and brother Duane both purchased sportfishing boats. 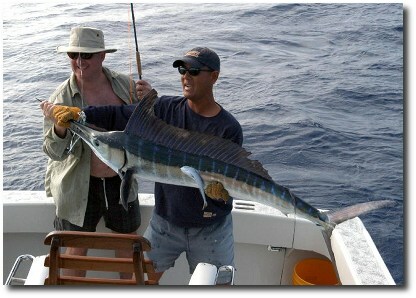 Weekends were spent trolling the nearby ledges and drop-offs and offshore fishing quickly became Russ’s new obsession. After graduating from Punahou High School he was off to college in San Francisco, California where he received his bachelor’s degree in Communications. Here, he met his wife Melissa with whom they have 3 children Fisher, Kaimana and Marina. It was also where Russ found a new addiction…fly fishing. He often took weekly trips to the California Delta to fly fish for Striped bass or head to the northern and Eastern Sierras for rainbow and cutthroat Trout. Russ’s brother-in-law, David Milhollin, mentored him in fooling wiley trout in the crystal clear waters of the Sierras and was an integral part in his success as a fly fisherman. In 2002 Melissa and Russ decided to move to Kona and away from the “big city”. For a year he crewed for some of the best charter boats. Russ took what he learned and moved on to Captain the Lepika with former owner Martin Romero. 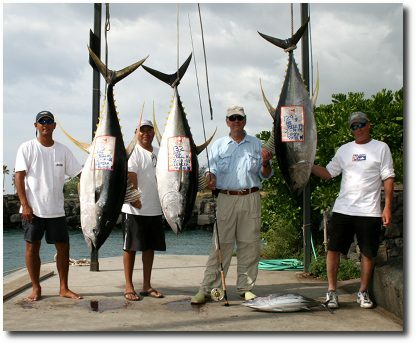 Together they began what today is one of the most successful sportfishing boats in the Kona fleet. They vowed to provide their charters with the best fishing experience possible by combining know-how and a true passion for finding and catching fish. 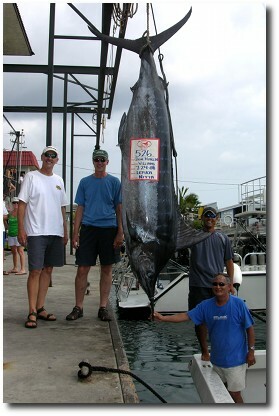 In October 2009 Martin made Russ an offer he couldn’t refuse and he became the owner of Lepika Sportfishing. To this day Russ continues to provide all of his clients with his 110% passion for the sport and a commitment to find and catch fish.